WB Govt jobs applications are requested from all qualified Indian peoples who are interested in the Police Department jobs. 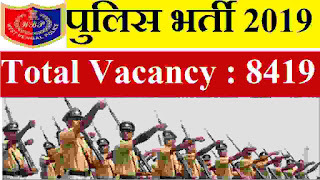 There are total 8419 vacancies for constable job profiles which are going to be filled up through this Police department recruitment 2019. 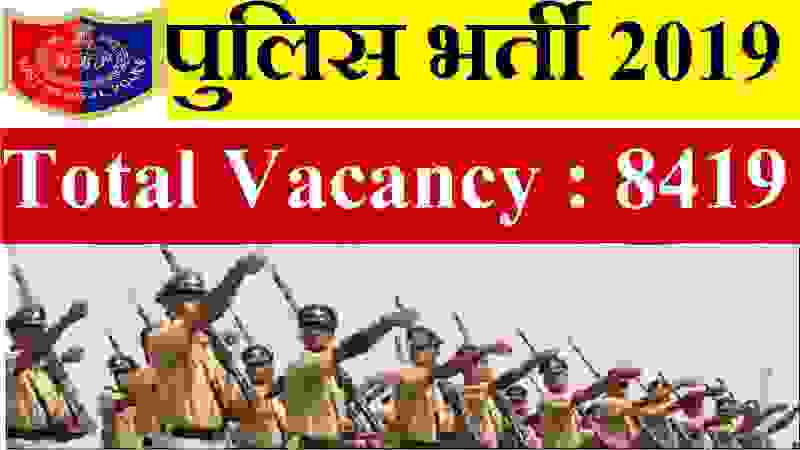 Those who full fill all the eligibility criteria for this WB Govt job recruitment to the post of Constables (Male) in West Bengal Police – 2019 can apply online as well offline for this recruitment process. . NVF, Home Guard personnel and Civic Volunteers serving in West Bengal Police only are also eligible to apply subject to fulfillment of eligibility criteria. Read the full article carefully to know more about this WB Government jobs in India 2019. (1) Age : - The applicant must not be less than 18 (Eighteen) years old and must not be more than 27 (Twenty Seven) years old as on 01.01.2019. The upper age limit shall be relaxed by 05 (Five) years for the candidates belonging to the categories of Scheduled Castes (SC) & Scheduled Tribes (ST) and by 03 (Three) years for the candidates belonging to the categories of Other Backward Classes (OBC). The NVF and Home Guard personnel serving in West Bengal Police are also eligible for relaxation of upper age limit as per existing Government order. However, no age relaxation is available for the Civic Volunteer personnel serving in West Bengal Police. (2) Educational Qualifications : - The applicant must have passed Madhyamik Examination(8TH PASS) from the West Bengal Board of Secondary Education or its equivalent. (3) Language : - The applicant must be able to speak, read and write in Bengali language. However, this provision will not be applicable to the persons who are permanent residents of hill sub-divisions of Darjeeling and Kalimpong Districts. (4) NVF, Home Guard personnel and Civic Volunteers serving in West Bengal Police should complete 03 (Three) years of service as on 01.01.2019. Application Forms may be submitted through on-line as well as off-line modes during the period from 05.02.2019 to 05.03.2019 (5 PM). The last date of receipt of filled in Application Form through postal services (for off-line applicants) is 05.03.2019 (5 PM). The last date of deposit of Application and/or Processing Fees in respect of only the applicants applying through on-line using United Bank of India Challan will be 07.03.2019 during banking hours due to technical reasons. Applicants must visit this website (www.wbpolice.gov.in) for detail information regarding eligibility criteria, method of selection, scheme of examination, procedure for submission of application form and other terms & conditions which will be uploaded shortly. 5TH Feb. 2019 is the Start Date to Apply. 5th March 2019 is the Last Date to Apply.